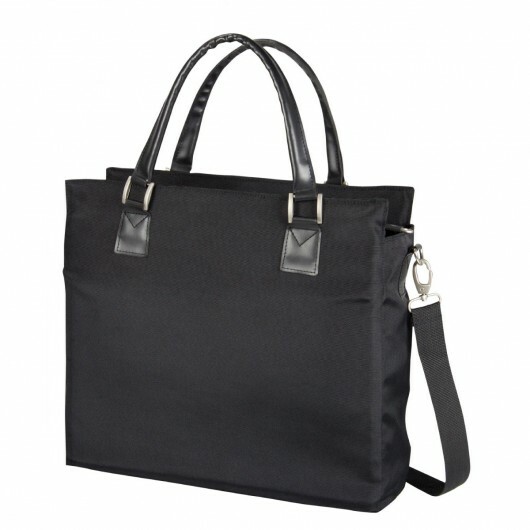 A handbag style laptop bag with padded compartment. These handbag style accessories are actually designed to hold a laptop. They are made from 1200D nylon material with matt silver fittings and leather look trim. 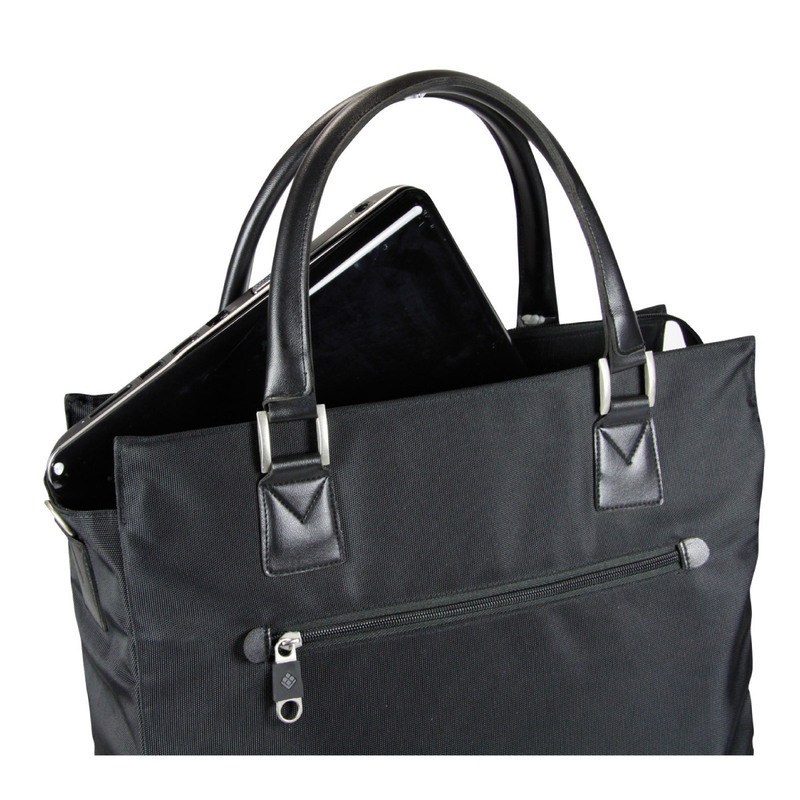 They look smart and are a stylish alternative to your standard laptop backpack. Other features include: padded laptop compartment with velcro closure, internal zip pocket and outer zipped pocket and an adjustable shoulder strap.